Last week some of you may have read my blog that I did on Frankie. I have been thinking about him and the choices he made when he decided that he wanted to leave this world. The reason I have been thinking about this is what his letter to everyone said. He didn’t want people fighting and wanted some resemblance of peace. I can see how he would have wanted that. In his life he has had many ups and downs. I’m not going to go into those ups and downs though. I will say that he loved many and had no problem telling them that. But out of everyone I think he loved his daughter the most. And this is where my thinking has taken me. For me, I would hope that his daughter will know that his father loved her deeply and that she grows up in a world that will offer her unconditional love. I hope that somehow through all the angry posts, hurt feelings and hateful words that she will know how important she is and was to Frankie. When Frankie wrote that he wanted everyone to get along, I do hope this happens. He didn’t want fingers pointed and for others to blame each other since it was his choice. All this fighting is doing no good and for me, it seems like Frankie has been lost in the shuffle somewhere. I have tried to not feed into the frenzy of angry words. 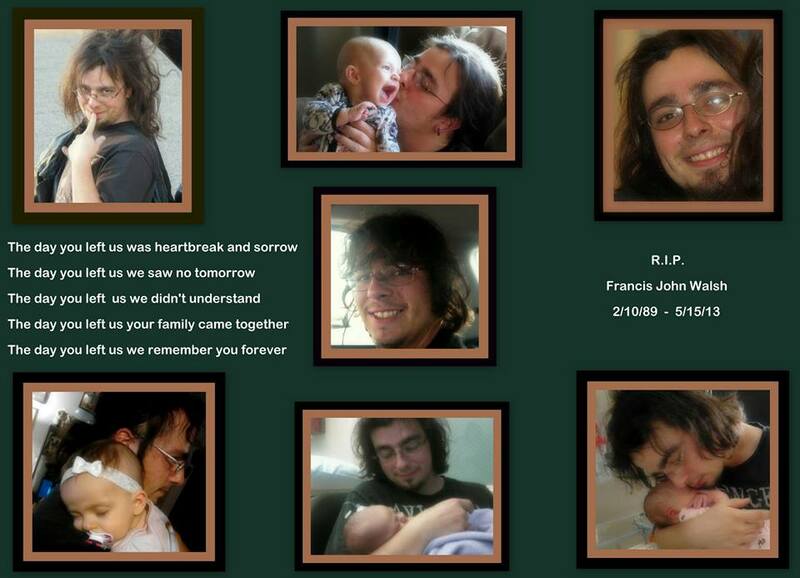 I do that because I want to remember Frankie for who he was and is, not the anger and fighting that is going on. There have been some really harsh and hurtful things from so many people and it really bothers me that it has come to this. Maybe I feel this way because I see things differently and have known others that have committed suicide. I honestly don’t think there was anything anyone could have done to change this outcome if a person was set on doing this. He made the ultimate choice that has changed the lives of those around him and in his life. I’m not going to say it was selfish because I’m not in his head. Everyone reacts to things differently. Mostly I’m sad for him and that he felt that was his only option and that there was nobody that he felt he could go to. There has been no service planned for him as of yet. I think I would be a bit Leary to go to it anyhow because I would be afraid of what I would walk into and what kind of battle would ensue when everyone got together. I did make a short video in memory of Frankie and hopefully those he loves will be OK with what I did and how I put it together. While making it, I had to be true to myself and make sure that it was something appropriate for all to watch. I do hope they understand. Sandie, this is Marcia, Nancybratt’s friend. What a great blog! I’ll definitely be back for more reading. Blessings to you, friend!